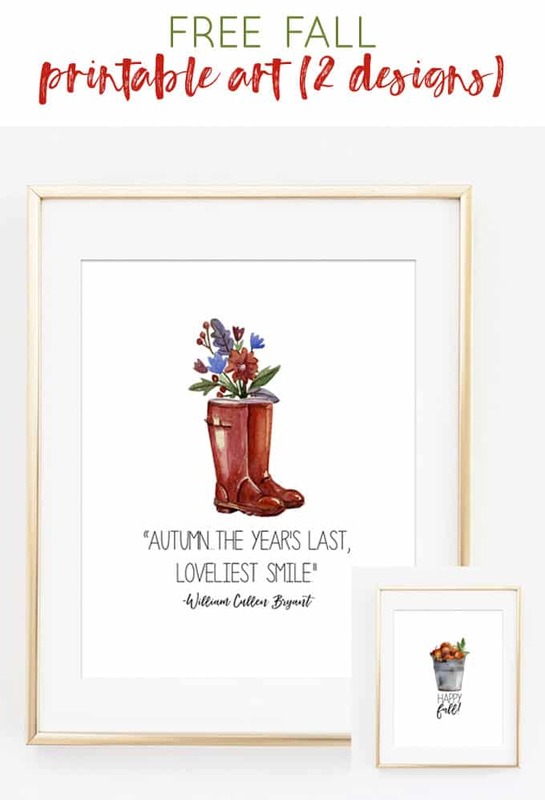 These watercolor fall printables are the perfect way to add some farmhouse-inspired fall decor to your home! 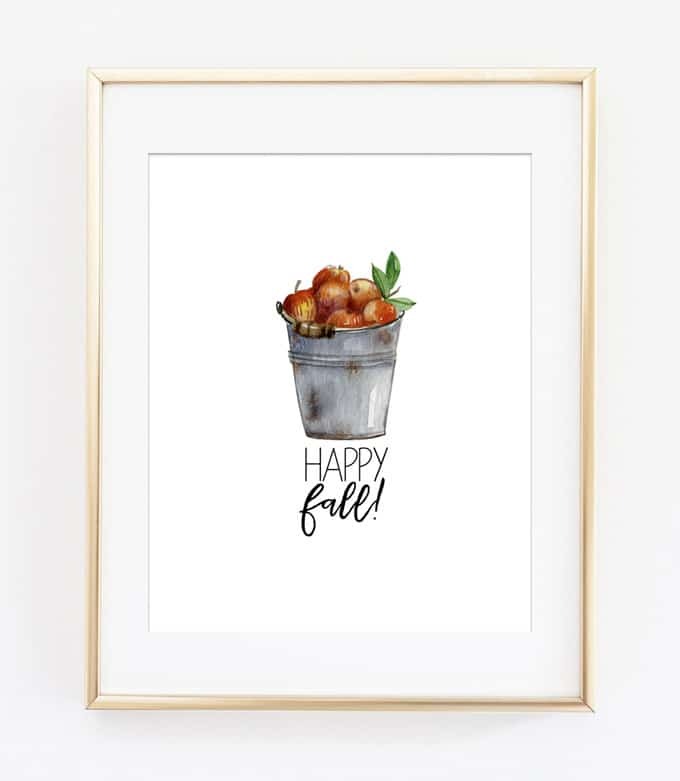 Download and print these free watercolor fall printables for your own home or to give as a gift! I love fall. The crunch of the leaves, the cool (but not cold) weather, the warm beverages, the sweaters and boots…it’s the perfect way to end the year. Adding some fall crafts and decor to your home is an easy way welcome the new season. We love sharing free printables with you for all seasons and decor themes, and today, we’re so happy to share these free watercolor printables with you! Thanks for reading about my watercolor fall printables! Have a great day! 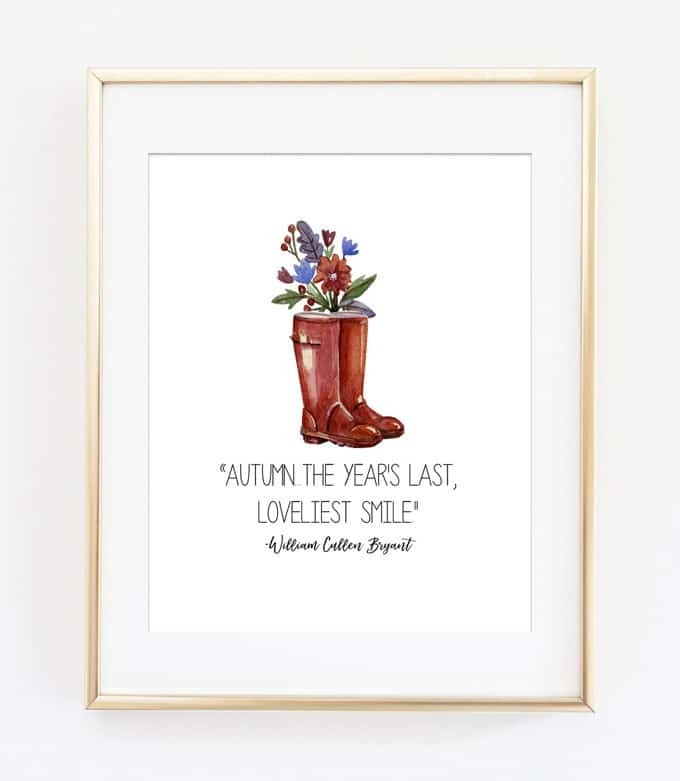 Your Fall Printables are so attractive! Thank you very much for such a lovely autumn gift! I’ve just the spot for only one so I’ll happily choose “Happy Fall” and it will hang perfectly in our new home! 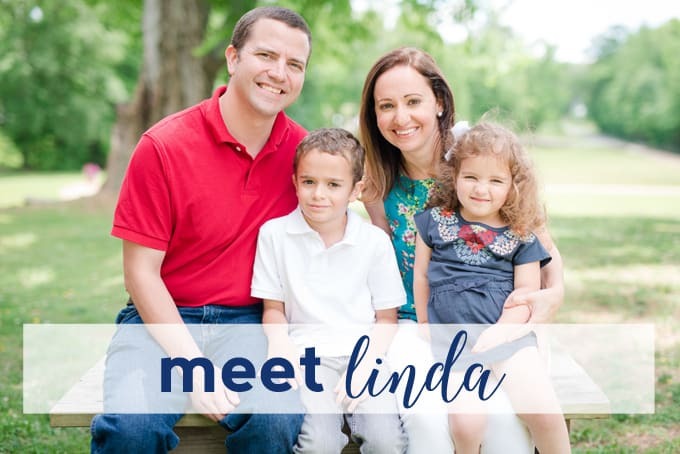 Your blog is delightful and quite entertaining! It is very obvious you are enjoying the process of being its creator and author! I’ll be back to see you soon! Have a blessed Thursday!